For once in your life, Colbs, read between the lines! And of course, support of the Patreon gets all of you more pages each month. If we hit the next goal, that's 3 weeks of MWF updates each month. 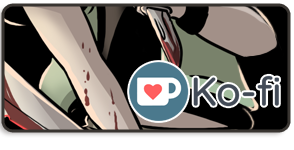 And, oh yeah, if you missed Monday's Patreon-funded update, go back one page! 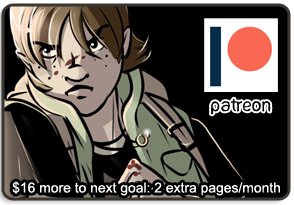 Current Patrons, I just posted 3 more pages, up to December 1st.